A lovely memento to commemorate the retirement of any member of the ministry team. through you, God has touched countless lives. has been a blessing to us. may you enjoy all that the Lord has planned for you. 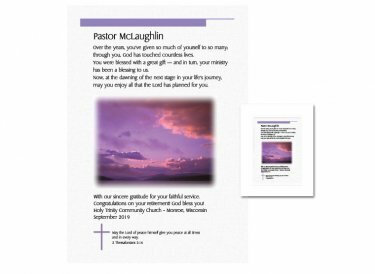 You'll personalize it with clergy's name, and add your special message (up to four lines available beneath the image).